The Multi-specialty Hospital campus at Vizag serves with 300beds. The site comprises of a Main hospital building, a Service building and a separate building for Oncology with teaching facilities. 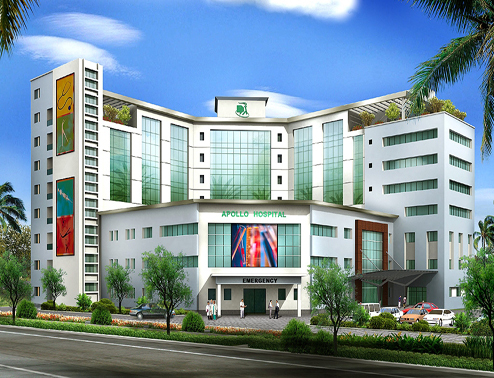 Various departments like Radiology & Imaging, Emergency, Cardiology, Physiotherapy, Dialysis, Endoscope, ICU’s, Surgical Suites, Cath lab, Mother & Child care, Apollo health check up, Inpatient rooms in major hierarchy of single rooms, double rooms, wards, Suite room, Deluxe rooms and Presidential Suites builds up the main block. The hospital has been planned with all infrastructural facilities to meet the requirements of each department.